For many years now, the Black Watch 40 has been acclaimed as the premier game boat of it’s size. 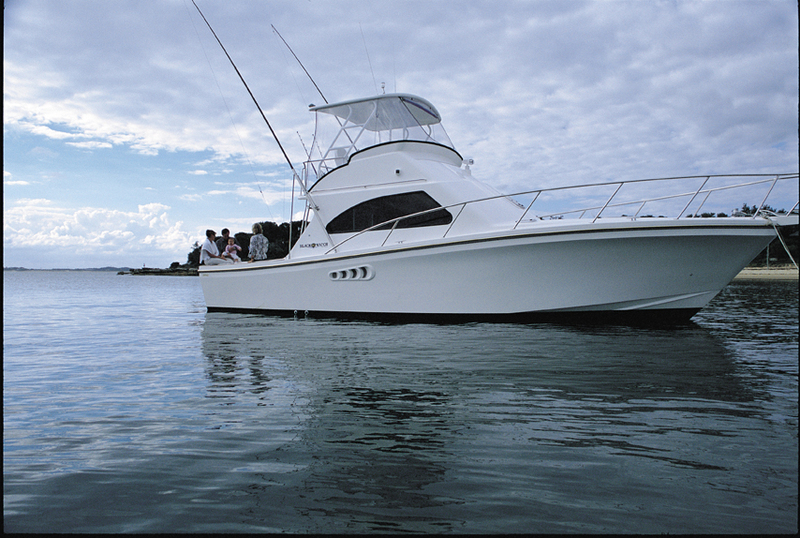 A near perfect blend of sea keeping ability, creature comforts and fish ability. 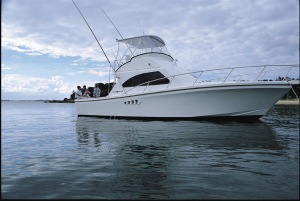 Charter boat skippers, experienced game fisherman and marine journalists from all over the world agree that as a fishing/convertible/entertainer the Black Watch 40 is unsurpassed. Entertain your friends and family aboard in style and luxury. Feel the warmth the timber finish exudes, relax on the tailored lounges, prepare meals in our gourmet galley or sit back in the cockpit and watch the world go by. all the Black Watch hulls are fast, dry and without peer in all respects. They will punch through the angriest of head seas and run effortlessly over following seas. The Black Watch hull is unique in the world of production boats. 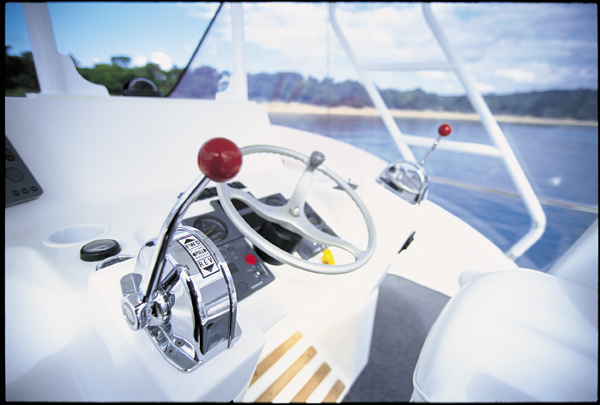 Custom boat performance and style from a production facility. 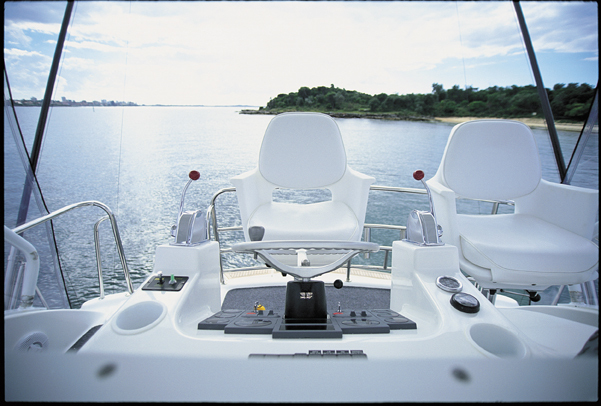 Standard exterior features on the Black Watch 40 include: heavy-duty rod holders, single piece outward opening transom door, flybridge mounted rocket launchers, cockpit fridge, tackle station with storage, removable under sole cockpit lockers, above sole livewell, cockpit hot/cold shower and padded cockpit coamings. As all this is standard, the Black Watch 40 will be the first and last boat you will take for a sea trial. Forward in the Black Watch 40 is an owner’s stateroom featuring a double island berth and port and starboard hanging lockers. To starboard is a spacious cabin with 2 large single bunks and wardrobe. Coming aft and to port is a spacious bathroom with separate shower cubicle. Take 3 steps up and you are now on the saloon level. Here you will find a large bar to port with under bench fridge and cupboards. The galley with double bowl sink, microwave and electric cook top with overhead and under bench cupboards is located on the starboard side. 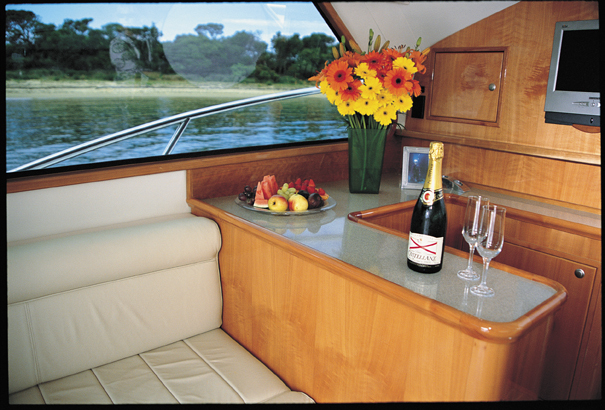 Above the bar and galley on the main bulkhead is the TV/video and IPod plug in. The saloon has a large settee to port which easily converts to a double berth and off to starboard is a comfortable dinette with an elegant timber table. The whole atmosphere of the interior is warm and inviting; quality fabrics, plush pile carpets, Cherry wood cabinets and bulkheads throughout. Add the optional leather and the interior resembles that of a 5 star hotel equal to the best vessels in the world. With standard twin 450 HP power the Black Watch 40 will deliver an approximate speed of 30 knots with a sizeable load, with a comfortable cruise on 22 to 26 knots using an average of 100 litres per hour. Acceleration of the vessel is sensational with maneuverability which is often described as the best in the business. The Black Watch 40 will leap backwards at 10 knots and carve 360 degrees turns in less than 30 seconds. Finesse. The ability of our 40 is legendary worldwide and must be experienced to be believed. 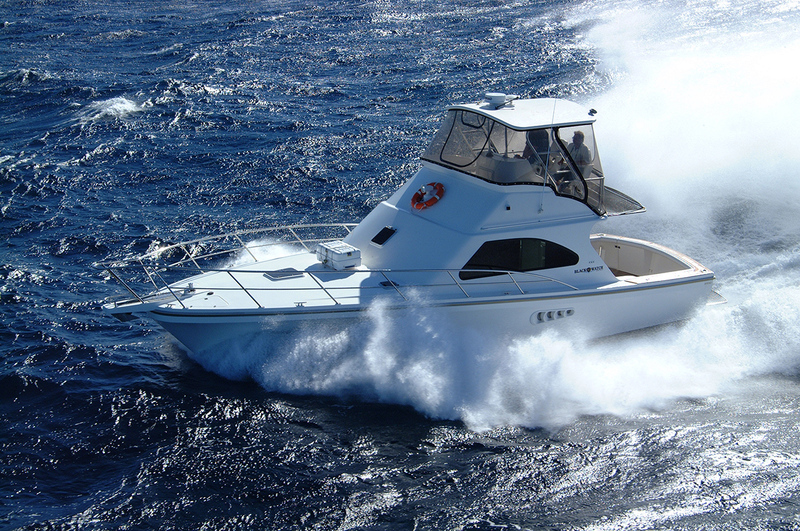 In calm or rough seas our Black Watch 40 will make safe passage up or down the coast at speed in comfort. All our boats are designed and built to work hard and play hard so contact us today to arrange an inspection of one of these beautiful blue water cruisers.